Cooking With Carlee: Fun Food Ideas for the Fourth of July! 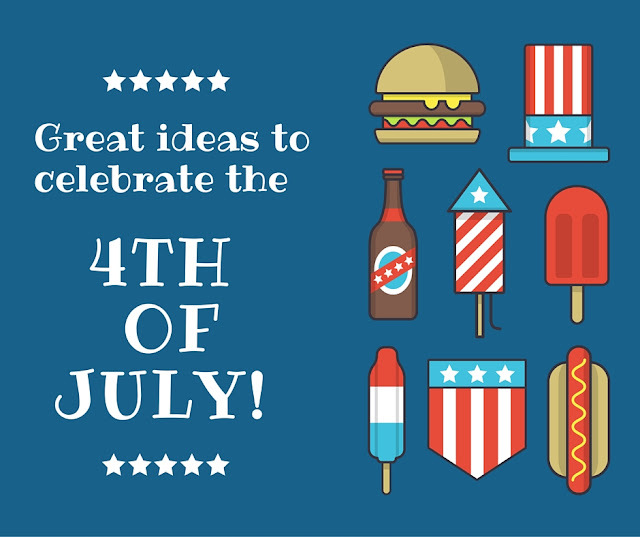 Fun Food Ideas for the Fourth of July! It's almost the 4th of July and red, white and blue are popping up everywhere! So a couple of my friends and I got together to make you some treats. By now you know I love party food and holiday food is the ultimate party food! The Fourth of July is not exception and comes with its own brand of excellent food. I always think of BBQs and of course red, white and blue treats. I love them all, but especially those that get their color from all of the ripe berries that are so good this time of year. I had a much more political intro written for this post, but decided against it. With all of the craziness going on these days, it is hard not to bring some of it into my little chats with you. But food is supposed to be fun and I don't want to weigh too heavy on your mind if you are looking for a place to escape. So I will make it brief and simple. I am so proud of my country and what it stands for. I am glad to be in a place where though some may have an easier path, everyone has a chance to work hard and carve out a happy life for themselves. It is my belief that in life and in politics it is always better when we can work together and not against each other. It feels better to build people up than tear them down. Sometimes the people who are the least like us are the ones who have the most to teach us. And perhaps most importantly, you don't have to like everything about a person to treat them with dignity and respect. As the extra flags go up this time of year and the bunting is hung on front porches across this great nation, my heart still swells with pride. I am proud to be here. We may not be in a perfect place and we obviously don't have it all figured out, but if the history books have anything to teach us it is that this nation is scrappy. We'll keep at it until we get it right! May you all have a wonderful long weekend full of fun, family and friends. May we remember that in the end we all just want a good life for our families. May we continue to strive for liberty and justice for all. Great recipes! Have a Happy 4th! Thank you, have a wonderful 4th! Thanks for linking all of these great recipes on the Celebrate 365 Blog Party! Lots of fun ideas. Oh, those sangria's sound wonderful this 4th of July. Thanks for linking this collection up to the #Celebrate365 Patriotic Party!